An Italian dictionary for kids must have at least one thing. Pictures! That’s for sure! Don’t we get disappointed when we’re expecting a book to have pictures and find out it hasn’t (even us being adults)? Recently I heard of somebody that received a cookbook and… no pictures. She said that pictures in a cookbook give inspiration. They motivate a person to cook. Children need even more motivation than grown-ups. Learning new words while learning a language is tedious. But learning without pictures is unbearable, at least for a child. A few days ago I was talking to my dad about an illustrated reading book I used when I was a kid. There was a certain picture in the book that had caught my attention as a child, and that up to this day, I still remember. In the picture, there was a crowd working very hard. He remembered the image too and laughed. He also told me that grandma had read that same book to him when he was a boy. And that there was another picture, one of a man out in the sea, that had impressed him as well. I also remembered that one. “Wow…” I told him “I did not know that that book had impacted so much our early days”. And we laughed again. My sisters also used the book. I must ask them if they remember some particular experience with it! Beautiful experiences as these give us life long pleasure. Common experiences… build a family! And remembering them always brings a smile to our faces. We are visual by nature. I know you have heard the phrase: A picture is worth a thousand words. And pictures are a very powerful tool you can use when learning Italian. How can I motivate my child to learn a second language? Children (and adults too) love books with a lot of pictures. I must insist on this, many of us associate a word with an image. When we are learning vocabulary, there is no better way to fix those words in our brain than to pin them in with a picture. If you are planning a gift for your little child that is learning Italian, an Italian book full of pictures would be our recommendation. If it’s his/her first book, I’d recommend an Italian Dictionary for kids, because in that way you open their little eyes to vocabulary. An illustrated dictionary introduces vocabulary in a smooth and fun way. And not only children can benefit from pictures. Adults who are visual learners can have a great time as well. I personally recommend parents to read along with their kids. And to incorporate the vocabulary that is seen on the book into the daily life of the little one. It will motivate him/her to learn Italian, and it’s also fun to remember words in the book pointing them out in life. There are a lot of Illustrated Italian Dictionaries out there and all of them could suit your child. I’ll just give you an example of one that I like very much. But again, it’s only an example, there are hundreds of good books that are excellent resources for this purpose. You could start checking out the Hippocrene Children’s Illustrated Italian Dictionary and then continue searching and comparing others with this one. I like this Dictionary because each entry has colorful pictures beautifully printed with English and Italian words listed below. The book is in alphabetical order for English words. The Italian words are alphabetically listed in the index. I only recommend this dictionary for children who speak English wanting to learn Italian. I think it’s not so useful for Italian speaking kids. Words can be looked up alphabetically as in a dictionary but small children will enjoy looking randomly through the book. If you speak Italian, please read the words and point out the pictures for your child. If you don’t speak Italian, you could have the words pronounced using Google translator or any other similar platform (Duolingo Dictionary can also give you the pronunciation). While viewing the book with your kids, or by yourself, you could have any of these platforms we have just mentioned open on your phone or laptop. As you turn the pages of this dictionary, you can search for each word and hear it pronounced clearly while looking at the pictures. If you would like to take a look at Hippocrene Children’s Illustrated Italian Dictionary on Amazon, click here. 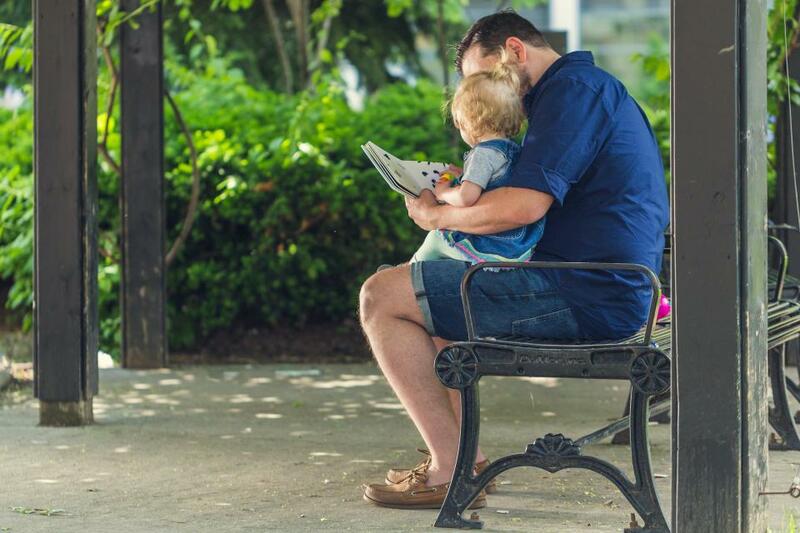 With an Illustrated Italian Dictionary or any other Italian Illustrated book, you could transform an Italian lesson into a pleasant family evening with your kids, and hopefully, build lasting experiences that they will remember even as grown-ups. Awesome Site! I love to learn new languages. And I like illustrated books too. Thank you for the example, I have been looking for something like this. I’ll check it out! God bless you brother! Hi, Henry! What a fantastic post! When I first started learning Italian, images were used to introduce me to the language and to build a basic vocabulary. I have understood the importance of using pictures so I will take a look at this dictionary. I also use Duolingo daily and it has really helped me too. I like your site, and I’ve bookmarked it to come back once in a while. Thanks. Hey, Lee! Thank you! And yes, that is correct! Pictures are so important when we are learning basic vocabulary. Both children and adults will enjoy this Illustrated Dictionary very much! Duolingo is another great resource to learn Italian. I have also written a post about it. To take a look at it, click here. Thanks for bookmarking my site, and thanks for stopping by! You will always be welcome here. This is a great article. Illustrated books are far more interesting for kids and keep them zoned in. My nephew came over to me while I was reading your post, and he liked the cover of the Hippocrene Children’s Illustrated Italian Dictionary. He’ll be seven in two weeks and I’m considering buying it for him as part of his birthday present! Thanks for sharing. Hey, Rob! Yes, illustrated books catch kids’ attention far more easily than a book full of letters. 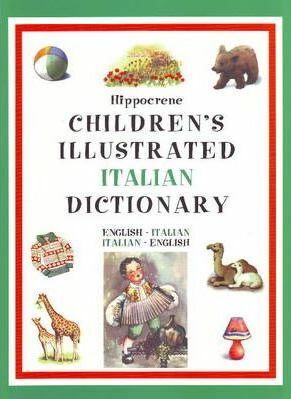 And the Hippocrene Children’s Illustrated Italian Dictionary would be a great present for your nephew. Thanks for stopping by! Hi, Vee! You’re absolutely right! It’s good to start them young when their brains are like sponges! Thanks for stopping by! I liked this article a lot. That’s true, we commonly pay attention to pictures at first. Pictures are easier to remember than words or other kinds of teaching. What other ways do you recommend to teach Italian that would be easier for children to learn? Yes, pictures are worth a thousand words. With my daughter I have several books with pictures. As she has gotten older I have gone through these books again and gotten more out of her about what she sees. I can see that this book will be very helpful. Just wondering though what age group it is suited for. Thank you very much for sharing your experience with us. That’s really good you can spend such a nice time with your daughter. She’ll remember this during all her life. This Illustrated dictionary suits children from 3 to 12 years old. But it’s not limited to those ages. Even grown-ups can greatly benefit from it. Your daughter, you and all the family will enjoy learning Italian word with this book! Henry, great article and I really agree with visuals being important. We are an expat family and have lived in a small town in Hungary for two years, not many people speak English so we have had to learn Hungarian which is very difficult. I purchased some picture dictionary books for my children and they have been very helpful (not just for the kids but to me as well!). My daughter is actually learning Italian now in school and is fluent French. We have always used picture dictionaries to begin learning the basics. It’s also what the schools here recommend for language classes. Concerning learning languages, I highly recommend you to take a look at a free online course called Duolingo. It’s very good and your daughter will love it because it’s kind of a game (and at the same time you learn a language). To read a bit more about Duolingo, click here. I enjoyed reading your post, Henry. I agree with it wholeheartedly. As a visual person, I know that having pictures that illustrate a story or a word means it’s way more likely that I will remember the story or the word better. It’s even more important for children, I think. The picture books we read as children have “sticking power,” LOL. They were how we learned new things and the pictures stay with us even after we’ve grown. I’ve wanted to learn another language myself and this post reminds me about the importance of pictures to make the knowledge stick. I think I’m going to try to find a picture book dictionary that will help me learn better. Thank you Henry. “Pictures tell the story,” they say. It’s so easy to learn when there is some illustration to go with it. An Italian picture dictionary is a great choice! I’m sure it’s a good aid for children and adults alike. And it will have them progressing with the basics quickly. My children need to learn a second language. I will definitely be using pictures in teaching them. Hi Juliet. Yes, the saying is right “Pictures tell the story”. As you have stated, Illustrations will make children and adults progress through the basics quickly. So without doubt, you’ll reap success if you include lots of pictures while you’re teaching your children a second language. Thank you so much for this informative post. The internet has made the world a global village and the importance of learning a second language cannot be over-emphasized. As regarding the pictures you mentioned, we all learn better and faster with illustrations. And I also know the use of books with pictures can help a child learn a second language faster. This Children’s Illustrated Dictionary would be a great way to introduce Italian to my little ones at home. I know they’ll enjoy it as much as I enjoy going through the pages of a well illustrated book. Thank you very much! Hi Tolu! I agree with you. The World has become a global village. And now more than even, learning a second language is very important, specially for our kids. I’m glad you’re eager to take this illustrated book home. It will be a very pleasant family experience. Enjoy the Italian lessons with your little ones. It is no coincidence that your childhood memory serves you so well. In general, pictures are very useful to help us accomplish this. Our memory is stimulated visually. So even for the adults amongst us, learning a second language usually is most effective following courses that include visual aids. How on earth we should expect a child to learn a second language without the aids we supply for our own language learning? As for inspiring young ones to learn another language, I found that a trip to the target country (for even the shortest time) usually does the trick. It did for my son who was happily language ignorant until we took him to cruise the Med. A year and a half later he was fluent in 3 new languages. I couldn’t agree more that pictures are the way to go. Although your article was focused on children learning Italian I may just give it a crack myself as I’ve been struggling learning the vocab. My wife and I are planning a retirement holiday to Italy and our granddaughter is quite intrigued by the fact that people in Italy don’t always speak English – at 6 she has no concept of a foreign language. So this article is right on the money and I’ll grab one and introduce her to the rich world via a picture dictionary. Should be an easy sell as she already loves Italian food!!! Hi Mike! It’s wonderful you’re planing this trip to Italy with your wife. Enjoy your time there. It sweet to see your granddaughter intrigued because you’re going to a place where they don’t speak English. I hope she also falls in love with the language.